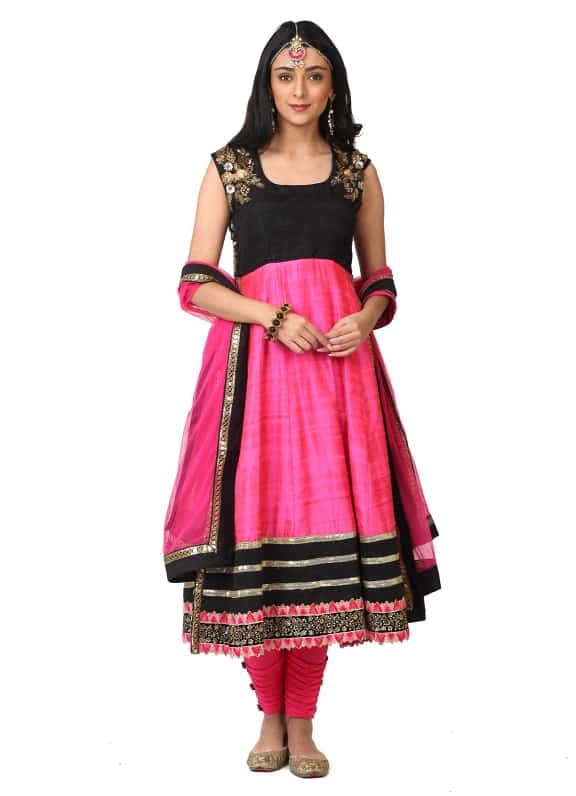 This ensemble features a pink Kurta with a contrasting black bodice with floral sequins embroidery. 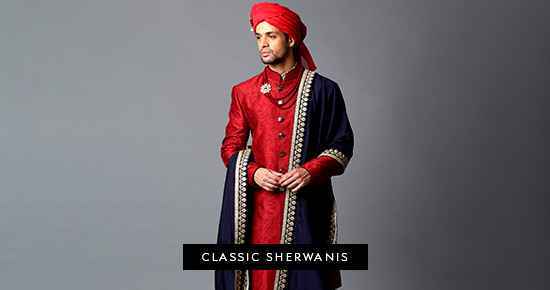 It is paired with plain churidar with button detail and plain dupatta. 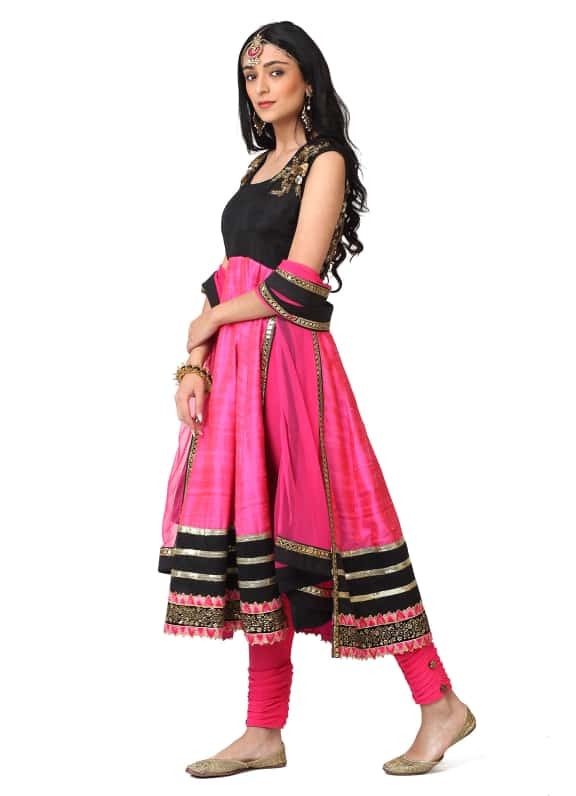 Wear this stunning colour blocked anarkali with a pair of Amethyst earrings and maang tikka with an Amrapali cuff for a festive dinner.